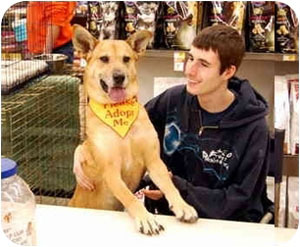 Helping Pet Adoption < PEOPLEPets.com March Adopt Me! You can read more about Nikki on PEOPLEPets.com and if you or one of your friends might know of a great home looking to adopt or foster an only dog in the Richmond, VA area, please share Nikki’s story with them! You can easily share on your Facebook, Twitter and more by using the icons below.